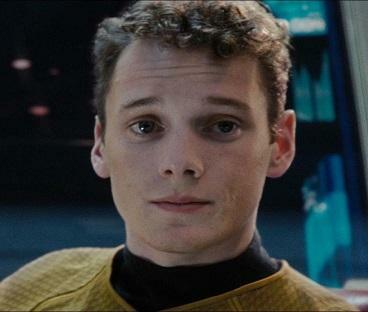 Anton Yelchin, who plays Chekov in J.J. Abrams’ Star Trek film franchise and on TV played son to Hank Azaria’s Huff, was found dead on Sunday after getting pinned between his car and his home’s security gate. He was 27. According to TMZ, which first reported the news (since confirmed by the Associated Press), Yelchin’s body was found by friends at 1 am in the morning, after he was a no-show for a rehearsal. His body was pinned between the car, its engine in neutral and still running, and a mailbox attached to his San Fernando Valley home’s security gate, which was at the bottom of a steep incline. In addition to his run as teenage Byrd Huffstodt on Showtime’s Huff, Yelchin’s TV credits included the alien abduction miniseries Taken, The Practice and episodes of Criminal Minds, Law & Order: Criminal Intent and NYPD Blue. More recently, Yelchin was set to star as Mr. Mercedes in AT&T Audience Network’s 10-episode adaptation of the Stephen King novel. He also was announced this week as part of the voice cast for Guillermo del Toro upcoming Netflix series Trollhunters. Del Toro in turn reacted to the tragic news on Twitter. This is a tragedy. Yelchin had a very promising future, with a number of projects in the works. It also raises the question: In Star Trek, will his character be replaced, or, in this alternate timeline, will he be killed, or die, in some off-screen sequence? A really crazy way to die and so senseless. As for the character of Chekov, he could be recast or replaced with another character with the explanation that Chekov was transferred to another ship or promoted somewhere. Remember, the character didn't even show up on the original series until the second season. It could be a good way to bring back the character of Lt. DeSalle. RIP Anton. This is so tragic.